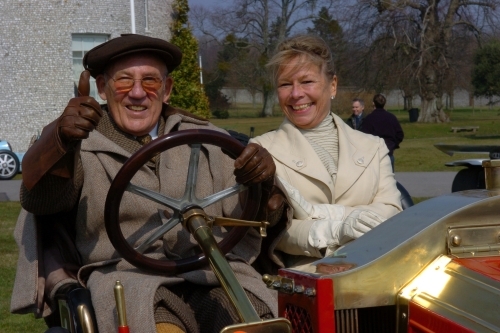 Sir Stirling Moss OBE today celebrates his 80th birthday (Thursday 17 September 2009). The Club’s only Vice President for Life is still very much an active part of the motor sport world, some 61 years since his first competitive outing in a Cooper 500 at the age of 18 in 1948. Sir Stirling’s achievements are amongst the most memorable in the history of the sport. He is acknowledged as one of the most versatile drivers ever, and his considerable International success earned him the coveted BRDC Gold Star no less than ten times. The Club was delighted to see Sir Stirling still in action at Silverstone earlier this summer at the Silverstone Classic race meeting. It is wholly appropriate that Sir Stirling should be celebrating this milestone behind the wheel at the Goodwood Revival this weekend. The British Racing Drivers’ Club would like to wish Sir Stirling many happy returns on this momentous day.